He went to NYU, and she went to Columbia, but they didn't meet until they both worked on Park ave. 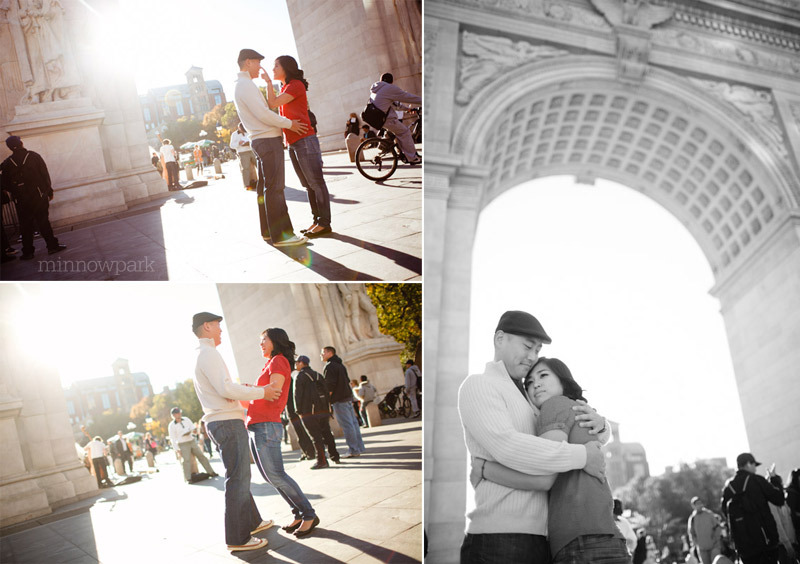 They love New York City and had dates at classic NYC locations like Times Square. So for their engagement shoot, they wanted to go to all four locations and so that's what we did. Three wardrobe changes and four hours later, we trekked all throughout the island reliving fond memories and capturing their love that was born here in New York City.